Department Landing Pages: Visual designer for Nordstrom’s Women’s [View Live Page Here] & Women’s Plus [View Live Page Here] Landing pages. These get monthly updates as well as weekly tweaks due to inventory and campaign pushes. Editorial Content Templates: Part of the team in developing new pop-up modal templates for our increasing amount of editorial content. These pages are updated monthly and can be viewed on our What’s Now page. These modals tell the customer why they should purchase different products, rather then just showing them. This strategy has increased sales for each highlighted product about 4x. Vendor Projects: Frequently communicated with and design for many brands such as Topman, Topshop, Madewell, J.Crew, Good American, Kate Spade New York, Tory Burch, and more in making digital experiences that follow both their guidelines and those of Nordstrom. Assets usually include: landing pages, site headers, site promo tiles, highly trafficked emails & ad placements. 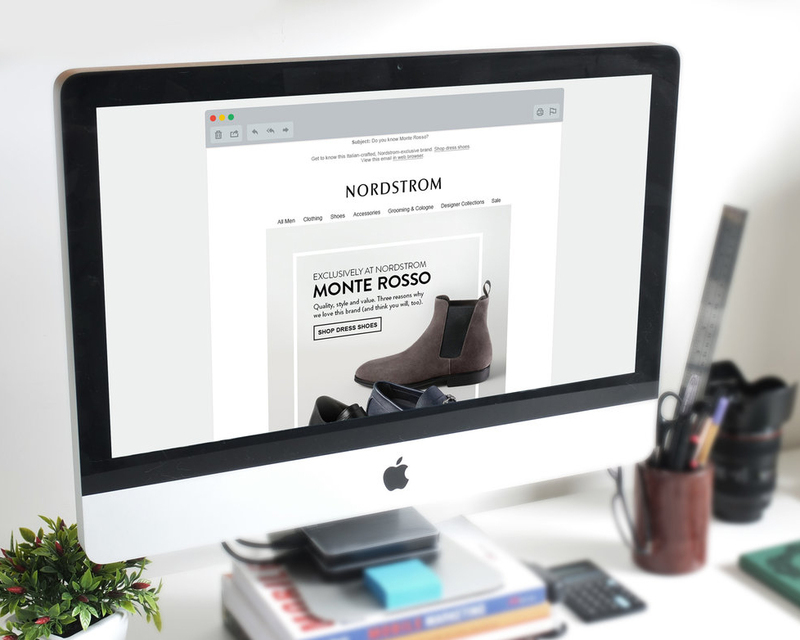 Campaign Projects: Beyond creating site placements and headers across the Nordstrom website, I designed many different campaign projects for Nordstrom’s retention customers. Assets usually include: landing pages, site headers, site promo tiles, highly trafficked emails & ad placements. Emails: Created highly-trafficked, responsive emails each week to promote specific products and campaigns. Worked with site managers, content managers, copy writers, creative directors, and proofers to ensure the quality of every detail in each email. Depending on the time of year Nordstrom used different design treatments to unify their creative visuals, and it was my job to successfully follow those guidelines in an intriguing yet straight-forward way. Additional work samples available upon request.